Thank you for your interest in the Hebrew Academy of Long Beach! We are looking forward to meeting with you and your child(ren). To begin the admissions process, please fill out an application by clicking on the appropriate link. FOR CURRENT HALB FAMILIES : Click Here. This screen will bring you to the DDC Parent Portal Log In. If you do not remember your information you can click ‘forgot username and password’. Do not register for a new account. FOR NEW APPLICANT FAMILIES: Click Here. When you click on the link you will be brought to the HALB DDC parent portal. Please click “Register” and you will be prompted to create an account and then you will be directed to the admissions module. If you do not have all the information at the time of filling out the application you are able to save your application, and submit it when you are ready. For technical assistance please email Mrs. Ruthi Seidenfeld at rseidenfeld@halb.org. HALB is committed to assisting families in need of tuition subsidies with scholarships. Recognizing that many families are facing economic hardships, we wish to assure our parent body that students who qualify for acceptance will be assisted by our Yeshiva. The Financial Aid Application can be obtained below. For more information, call our Executive Office at (516) 791–8200 x-102, or email susie@halb.org. Bus transportation to Queens/Brooklyn is an additional charge. Copies of your W-2 forms for both parents. All supporting documentation can be uploaded and sent in PDF format online. If you have any questions or concerns about the application process, you may speak with a FACTS Customer Care Representative at 1-866-315-9262 weekdays from 8:30 am – 7:00 pm. 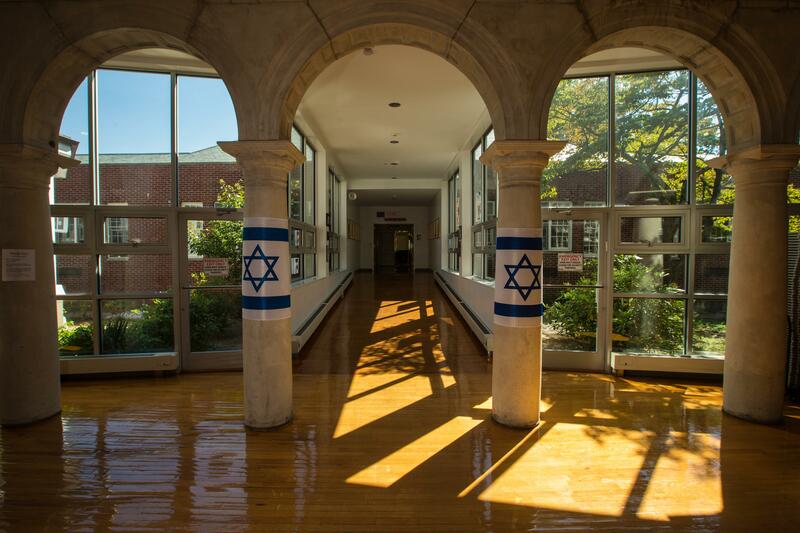 Our school is easily accessible to residents throughout Nassau and Suffolk Counties, Queens, Manhattan and Brooklyn. Bus transportation is available to students as necessitated by demand. We look forward to assisting parents in this process. For any questions, please contact Esther Schenker at eschenker@halb.org. No district student will be allowed on any bus other than his/her assigned bus. If there is an emergency, please make arrangements to have your child get off his/her assigned bus at another official stop. Please send your child with a note stating these details. Please be advised that the districts do not allow transportation for after-school activities. It is the responsibility of the parent to arrange for appropriate carpool transportation. WELCOME TO HALB ELEMENTARY SCHOOL!